Galatasaray of Turkey won the Eurocup last season. With a more competitive field, who will win the competition this season? The transfer season is upon us and all kinds of wild news stories are flooding twitter and the internet ranging from coaching changes to new acquisitions by major clubs to players going to the United States in the hope of making a squad through Summer League. However, the biggest announcement over this past week was the of unveiling of the teams participating in the Euroleague, Eurocup and FIBA Champions League for the 2016-2017 season. While we do not know anything about the draws just yet, the announcement was particularly interesting with the Eurocup, especially considering the ramifications that could possibly be coming for countries of clubs when it comes to FIBA National Team Competition. So, I wanted to list some thoughts about the Eurocup announcement and four “early” interesting storylines to follow leading up to the start of the season. I will also do another one on the Champions League, as the Champions League and Eurocup will be directly competing with each other for status as Europe’s “second-tier” competition to the Euroleague this season. The Euroleague’s “Condensed” Format definitely made the Eurocup competition stronger. 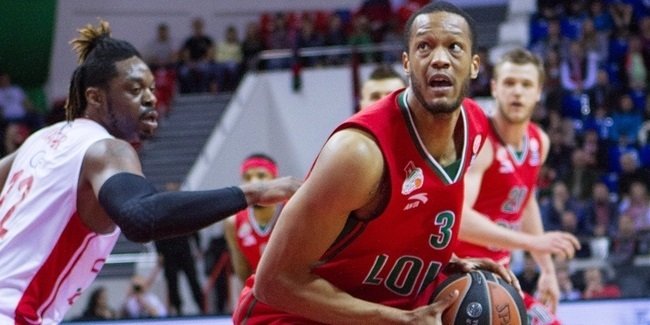 Despite a Final Four appearance last year, Loko is back in the Eurocup due to the Euroleague’s condensed format. This will make the competition stronger than its ever been before. The Euroleague’s decision to have just one round of regular season games rather than two, and 16 teams instead of an initial field of 24 seemed to leave a lot of mid-tier clubs out of the loop. Lokomotiv Kuban, the third-place finisher in the Euroleague a season ago, did not make the cut, and the same was true for other 2015-2016 Euroleague participants such as Unicaja Malaga (who will be making their Eurocup debut this season), FC Bayern Munich, Cedevita Zagreb, Dinamo Sassari, Stelmet Zielona, and Khimki Moscow. In addition, former regular Euroleague participants such as Partizan Belgrade, Alba Berlin, Nizhny Novgorod, Lietuvos Rytas, and Valencia, just to name a few, are also teams that weren’t able to make the Euroleague field, and will be looking for a Eurocup competition championship as well to boost them back into the Euroleague field in 2017-2018 after a multi-year hiatus. The omission of these clubs from the Euroleague may be a disappointment to those clubs’ fans, as well as Euroleague fans in general who like to see “underdog” stories (such as Loko a year ago), but their addition to the Eurocup field makes the Eurocup competition better than ever. In years past, the Eurocup always had a couple of mid-tier clubs that were simply too good for the “EuroChallenge” (FIBA’s formerly sponsored “third-tier” competition that was replace with the Europe Cup last year and now Champions League), but didn’t offer enough “fight” to Eurocup competitors who had been demoted from the Euroleague. That made the early rounds of the Eurocup not worth watching or following. However, the addition of these “higher-tier” clubs from the get-go, and an extended round format that is more akin to the Euroleague’s previous format (10 game first round, 14 round Top 16 and then playoffs and Final Four) will make the competition fierce from the beginning. Furthermore, since all 24 clubs will be starting in the Eurocup from the start (rather than 8 joining after demotion following the Euroleague Regular Season), teams will be more prepared and ready for the competition. A lot of times, teams who were demoted ended up playing poorly in the Eurocup, as the demotion was a sign of failure, and they either weren’t “up” for the Eurocup games, or organizations “transferred” players in the Eurocup rounds to recoup some money for the lost season. That won’t be the case this year hopefully, now that there won’t be any “new” teams joining mid-season, and the stakes for an automatic Euroleague berth more fierce than ever with only 3 B-Licenses and 1 wild card available . It will be interesting to see though how “Eurocup” status will affect some clubs during this “transfer” season. 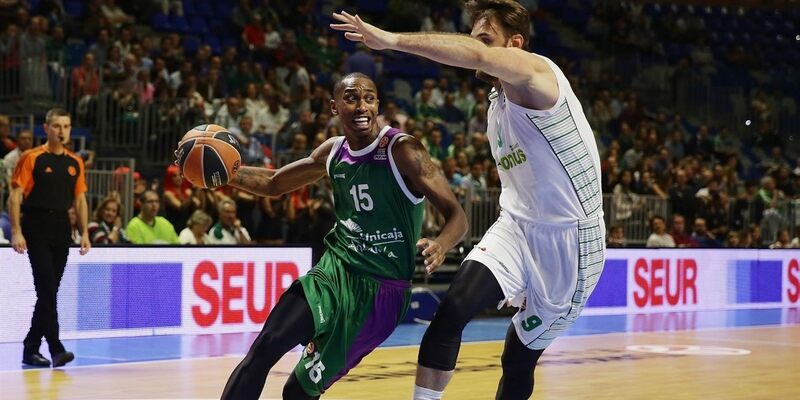 Guard Kyle Fogg, who signed with Unicaja Malaga, has been one of the few big-name players to sign with a Eurocup team this summer. While the prestige and depth of competition in the Eurocup certainly improved on paper under the new format, it will be fascinating to see if the “demotion” for many clubs to the Eurocup to start the year will have a negative effect when it comes to acquiring talent this offseason. During this “transfer” season during June, we have not seen or heard as many big signings from teams participating in the Eurocup in comparison to their Euroleague brethren. While Euroleague participants such as Darussafaka Dogus, Maccabi Fox Tel Aviv and Anadolu Efes have dominated headlines with big-name acquisitions, teams who’ll be participating in the Eurocup have been particularly quiet, mostly relying on small-time upgrades or re-signings that have generated little to no buzz. 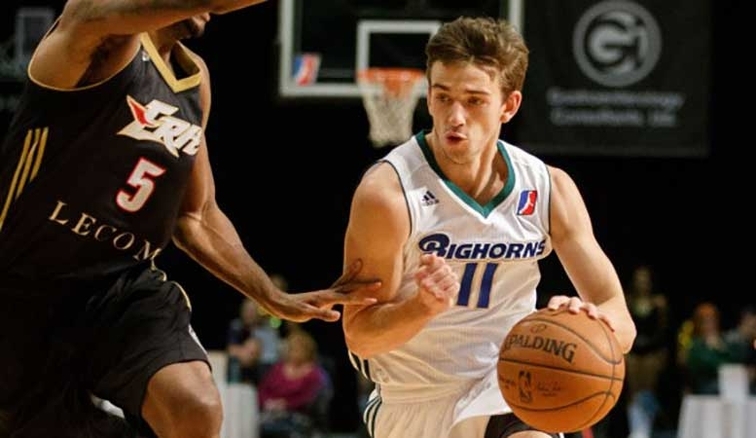 One of the most active Eurocup clubs this summer has been Unicaja, who signed former University of Arizona guard Kyle Fogg from German club Eisbaren Bremerhaven and extended a couple of key players from last year’s squad in Nemanja Nedovic and Jamar Smith. Furthermore, Italian club Dinamo Sassari has signed a slew of new players who will hopefully turn around the Sardinian club’s fortunes after a down season that resulted in the firing of long-time coach Romeo Sacchetti during the season. Other than those two clubs though, not many Eurocup clubs have generated attention sans a couple of middling moves here and there. It makes one wonder if being a “Eurocup” team rather than a Euroleague one for many of these clubs has affected their front office’s negotiating power not to mention payroll availability when it comes to garnering talent to build a competitive roster. In the past, a club like Loko would have made a big move by this time in the transfer season, and yet, they, along with some other clubs who participated in the Euroleague a year or two ago, have not acquired anyone of note. Of course, there still is a lot of time before the Eurocup season tips off, and typically Eurocup participants are more active on the acquisition front when it gets closer to the regular season, when many Euroleague teams have their rosters set, and free agents are just looking for a decent place to play and have less negotiating power. As stated before, clubs like Unicaja, Dinamo, Loko and other “regular” Euroleague clubs tend to be more active than this when it comes to acquiring talent during the “transfer” season. Is it because they’re trying to save money now that they are not in the Euroleague? Or are clubs just being patient, knowing that they don’t have the negotiating leverage they once had when they were in Europe’s top inter-continental competition? Unfortunately, this is a question we will only know the answer to by late August/early September. The absence of Turkish or French teams in the Eurocup is a bit overblown. Despite a runner-up finish last year, French club Strasbourg will not be participating in the Eurocup this year. One of the major stories of the Eurocup field announcement was the absence of any French or Turkish teams in the field of 24. This is the first year in a while where there have been no French teams in either the Euroleague OR Eurocup, which is a bit unusual considering France’s status as a country in Europe as well as the success of their National Team in FIBA competition. As for Turkey, while they do have four teams participating in the Euroleague, they are absent in the Eurocup, including Pinar Karsiyaka, a Euroleague and Eurocup participant last year, who opted to play in FIBA’s Champions League rather than the Eurocup, out of respect to FIBA’s wishes for second-tier clubs to participate in the CL rather than the Eurocup. It is a bit startling to some to see the absence of such major basketball countries in the Eurocup, but the competition will not miss the two countries much, if at all, once competition begins. In terms of Turkey, as stated before, they already have four clubs playing in the Euroleague, and when you look at the BSL (Turkish Basketball League) beyond those four, the clubs aren’t very strong. 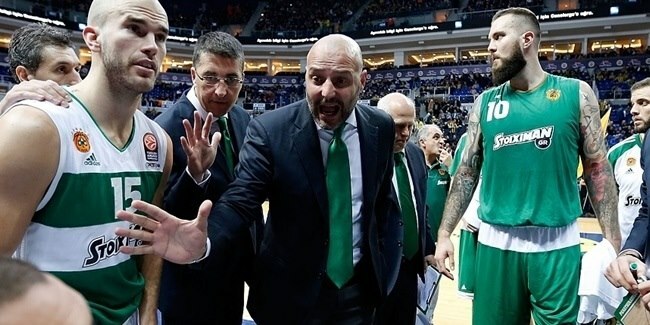 Even Karsiyaka, who won the BSL a couple of years ago, have regressed mightily in less than a year, and will be in rebuilding mode after long-time head coach Ufuk Sarica left Karsiyaka for Beskitas after the season ended. So, yes, there are no Turkish clubs in the Eurocup, but with four in the Euroleague already, I don’t think Turkey as a basketball federation minds that they do not have a presence in the “Euroleague-sponsored” second-tier competition. Their strong footprint in the first-tier competition is more than enough to make up for the lack of Eurocup representation. France on the other hand will have no representation in either the Eurocup or Euroleague, which is a bit more disheartening, since it is unlikely the Champions League will have the kind of publicity or reach with fans that those two other competitions have. However, unlike the French National Team, which is one of the best in Europe, as evidenced by a Gold Medal in the Eurobasket in 2013, their club scene has not performed as well as of late in European competition. The last team to make the Euroleague Final Four from France was Limoges in 1995, and the only team to make the Final Four in the Eurocup’s history was Strasbourg last season, who lost in the final to Turkish club Galatasaray for the Euroleague qualifying spot. The only possible team that the Eurocup could have benefited from was Strasbourg, who has been the strongest team out of France the past couple of years. Coached lasts season by national team coach Vincent Collet, and with a roster of former Dallas Maverick Rodrique Beaubois as well as young American talent like Kyle Weems, Mardy Collins and Matt Howard, Strasbourg had one of their strongest seasons a year ago both in the Eurocup (finishing second overall), Euroleague (they won five games, and just missed out on making the Top 16) and domestically (they won 25 games in the LNB). However, after blowing a 2-0 lead in the finals to ASVEL, a team that finished in 5th place in the regular season, Collet was let go and who knows not only who will replace Collet, but how many of the players will stay on board with Strasbourg in 2016-2017. And thus, with France’s strongest team looking to be in regression, and former Euroleague and Eurocup participant CSP Limoges coming off a pretty sub-par season (they only won 3 games in the Euroleague and went 18-16 during LNB play), the Eurocup may not have benefited competitively from France’s participation. And one can’t blame France for passing on the Eurocup either: France’s biggest strength in international basketball is their national team, and with possible sanctions coming for national teams whose clubs are participating in the Eurocup, choosing FIBA’s Champions League was the safest route to go. How will sanctions affect the Eurocup beyond next year? With multiple clubs participating in the Eurocup, will Spain, the reigning champions, along with other countries, be barred from the Eurobasket in 2017? The Eurocup looks to be the strongest it’s ever been in its short history, with many Euroleague-quality teams flooding the field. It is clearly superior to FIBA’s Champions League, though the Champions League is a lot better than I initially thought it would be (it certainly is better than the FIBA Europe Cup field this past year). But the Eurocup participation could come at tremendous cost: already, many countries have dished out sanctions in their domestic league (Russia being the biggest one), and it seems strong that FIBA is trying to dish out similar punishment to the national teams as well who have clubs participating in the Eurocup. Now, as they are still in court fighting this, it probably won’t have any effect on the Olympics this summer. However, the biggest question will be how FIBA will sanction teams by the Eurobasket in 2017? With Hapoel Jerusalem participating in the Eurocup, not only has the club gotten sanctioned domestically (they will be ineligible for the Israeli Cup, though it might not affect their status in the Winner League), but there is a possibility that they may not be able to participate or host games during the Eurobasket 2017 (Israel is one of the four hosts along with Romania, Finland and Turkey, who not clubs in the Eurocup). Considering Israel is coming off a strong showing in the Eurobasket 2015, this would be back-breaking for their national team after years of progress to be as competitive in FIBA play as they are in the club scene (mostly due to Maccabi Tel Aviv). But then again, with so many major countries having clubs who are participating in the Eurocup such as Spain, Germany, Serbia, Croatia, etc. will FIBA actually dilute their tournament all for the sake of promoting their own club competition? Or is national team competition so important that those countries will wise up and push their secondary clubs to the Champions League over the ULEB-sponsored one? This year, it seems like those countries are taking their chances, but if the sanctions do become serious and teams are disqualified from competing in FIBA play, it makes one wonder if 2017-2018 will have a very different Eurocup field.